Clearwater Island Lodge has so much to offer when it comes to fishing adventures! 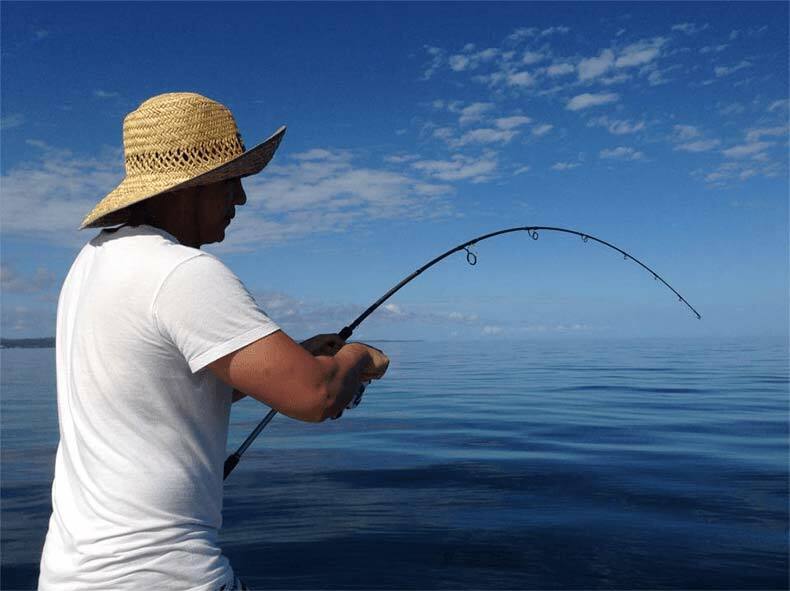 From deep see fishing, reef fishing, Barramundi fishing, whatever it is, they will cater for your dream fishing trip! Clearwater Island lodge is located in the Melville Islands which is a thirty minute flight from Northern Territory’s capital, Darwin. The Melville Islands is a tropical island where you will feel like you’re on your very own getaway! It’s remoteness will leave you de-stressed and far away from all the worries that you left at home! Relax and experience the best Barramundi fishing trip of your life with Clearwater Island Lodge! The Northern Territory’s waters are known for the Barramundi! So for the best in Barramundi fishing trips, look nowhere else other than Clearwater Island Lodge for the best in fishing trips! Get in touch with the staff at Clearwater Island Lodge on (08) 8978 3783 to book the ultimate Barramundi trip.